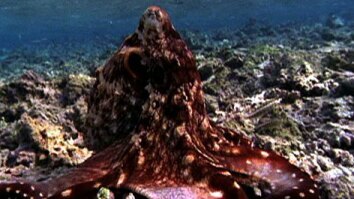 April 20, 2018 - Reviewing underwater footage from the waters off Costa Rica, marine biologists discovered something unusual—hundreds of octopus moms, incubating their eggs. The location, 1.2 miles below the surface, is much deeper than expected to find an octopus nursery. They normally seek out cooler waters to sit with their eggs, but this rocky outcrop is crisscrossed with hot thermal vents. 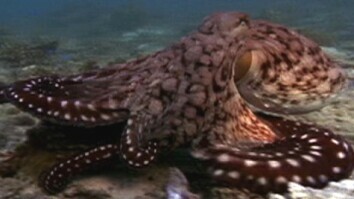 The large gathering is also unusual—these octopuses are normally solitary, and occasionally cannibalistic. 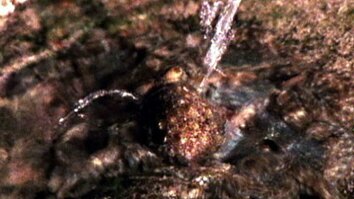 None of the eggs were found to be developing, and the octopuses were observed to be under great stress. Scientists think the crevices in the rock offer attractive real estate for the cephalopods.